Developers--get both B3 and I2 zoning! This assures maximum flexibility and tenant drawing power. 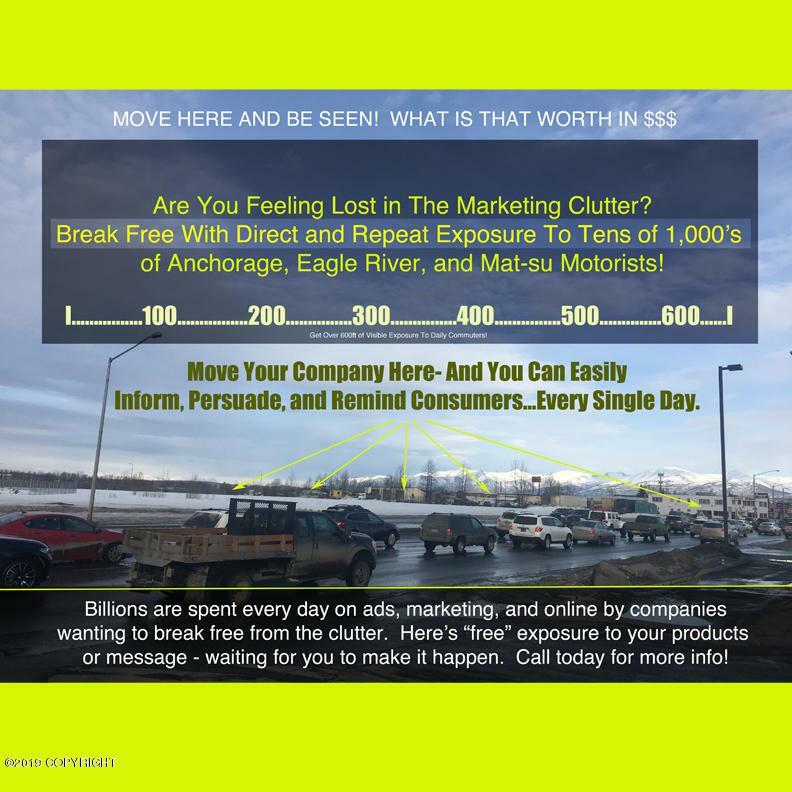 Incredible visibility to Glenn Hwy commuters. Traffic light at 5th/Concrete provides rare east AND west egress. Awesome car counts. 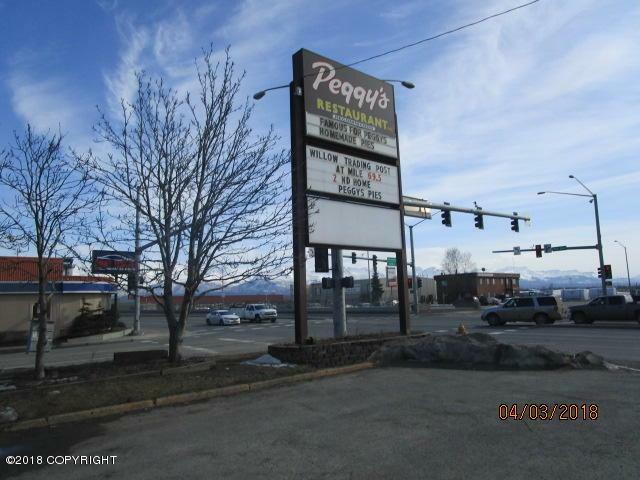 Ideal for gas station super center with fast food and retail, or a light Industrial Park. This 4 lot property spans all the way from 5th to 3rd. 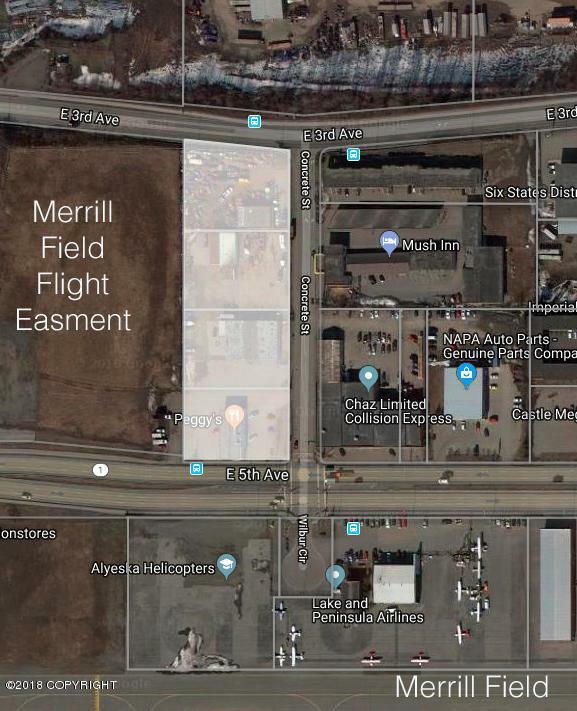 VERY rare opportunity!The Merrill Field flyway easement property (the open field bordering the entire west side of this property) assures that visibility from the west bound traffic lanes will remain wide open and unobstructed to those thousands of daily commuters. You simply won't have a better opportunity to be this visible to so many slow moving rush hour drivers and consumers day after day after day. The marketing exposure possible to these tens of thousands of daily commuters heading west on 5th Ave is priceless and may be the equivalent to thousands of dollars per month in marketing and advertising expenses. The easy access to these daily drivers into this site via the 5th & Concrete traffic light is also a major plus. Your target market is literally driving right by here every day. This entire property is also available for lease. See MLS #18-5159. The entire 4 lot property with buildings and improvements is being offered as-is. Owners will not make repairs or modifications. Owner will not lease or sell individual parcels. Front lot is zoned B3. 3 lots behind along Concrete Street are zoned I2. 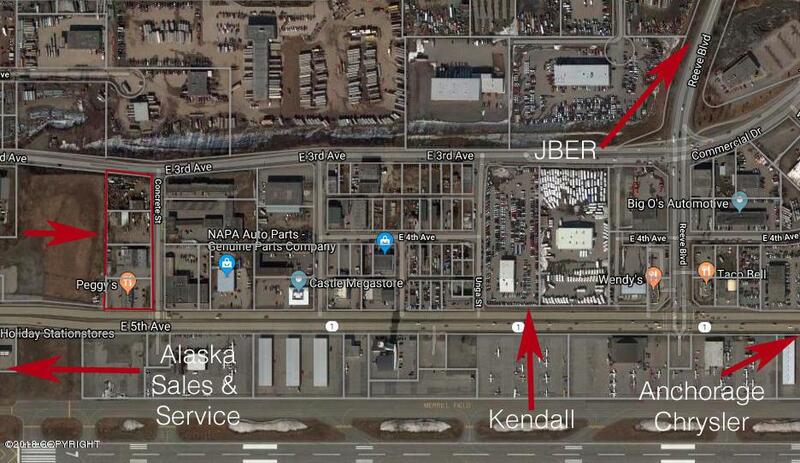 Imagine the visibility, marketing potential, and actual customer traffic with this prime location. Bring your proven concepts and product offerings to this dynamic location!